Teddy Nicholson responds to posts by Patrick and myself on the crime of aggression. Enjoy! I am currently at the Assembly of States Parties to the ICC meeting in New York and, while aggression has not been high on the agenda, there have been one or two very interesting discussions about it. The most notable was on the occasion of the book launch for the Travaux Preparatoires of the crime of aggression, masterfully brought together by Stefan Barriga and Claus Kreß. At this event – and in several other conversations I’ve had with people here – I am beginning to get an altered view of the real significance of this particular development. There are, as far as I can see, three ways that the Kampala compromise can be seen: First, as an attempt to prosecute and try individual leaders for the crime of aggression at the ICC. Second, as an attempt to fill in a conceptual gap in the legal structure of international society. These two have both been discussed, but there is a third way: considering aggression through the lens of complementarity. 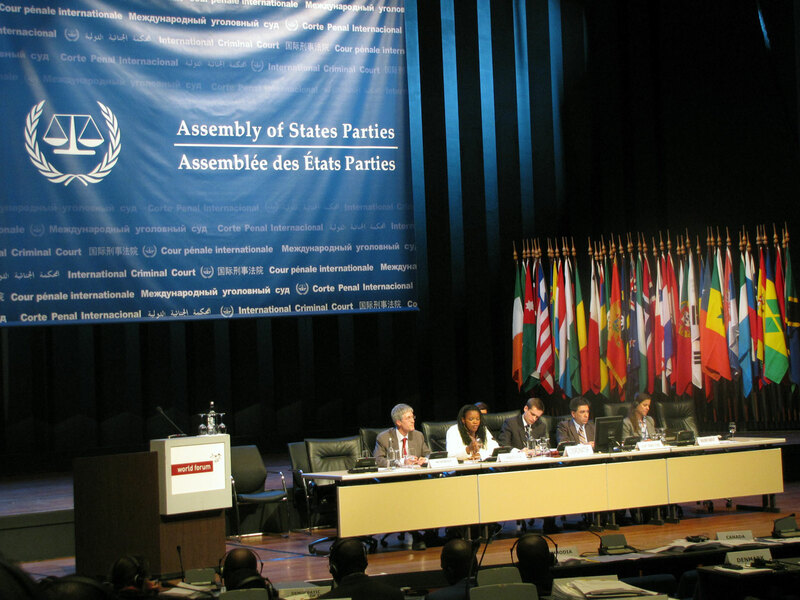 ‘Complementarity’ is one of the most frequently repeated words at the ASP this year. It is constantly mentioned in official statements by ambassadors and ministers at the podium as well as being the subject of detailed side events. The way we normally think about complementarity is as a limiting factor of getting cases to the ICC – it can only prosecute if states are unwilling or unable to do so themselves. However, it is the other side of complementarity that states are really thinking about now – the domestic criminalization of international crimes, and the development of enhanced capacity to try them nationally. The most quoted line from Luis Moreno Ocampo over the past few days has been “the ICC will be a success when it has no cases.” This does not just mean that it will succeed when there are no crimes, but rather that it will succeed when states can prosecute cases themselves. 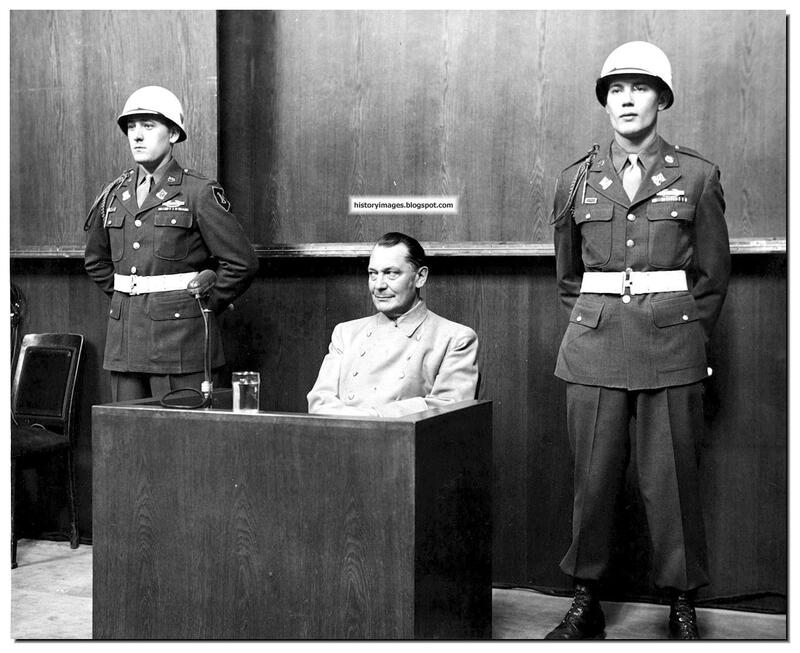 Hermann Goering (center) at the Nuremberg Tribunal. What, then, of aggression? The message that I am increasingly hearing is that everyone involved at Kampala was somewhat aware that we are not likely to see cases of aggression tried at the ICC any time in the foreseeable future, even if Kampala had been a more comprehensive success. Furthermore, as Patrick Wegner pointed out, it is a crime that inevitably attracts more politicisation than the core three (genocide, war crimes and crimes against humanity) do right now. However, what the Kampala amendments do for the first time is to give states a platform for the domestic criminalisation of aggression, enabling citizens (or attorneys general perhaps) to sue their governments for the crime of aggression. Before anyone says that this is too far-fetched, consider the 2003 case before the British House of Lords R v Jones et al in which groups of individuals broke into military bases and sabotaged equipment. Their argument was that this was consistent with preventing the UK from committing the crime of aggression. Ultimately they lost the case because the court said that while aggression was a crime in customary international law, it was hard to tell what the content of it was and furthermore it could not exist in British law without a statute. The prosecutor in the case actually made reference to the process of defining aggression for the ICC to support his argument by saying that there had been little progress and no agreed upon definition existed. Kampala changed that forever – we now have a definition that has been agreed upon and a model for how it could be prosecuted. The process of complementarity is going into action reasonably quickly – several states (Croatia and Slovenia are two of the first) have begun to incorporate the Kampala definition into their criminal codes which would enable domestic cases to be brought. Other states are considering it as well. 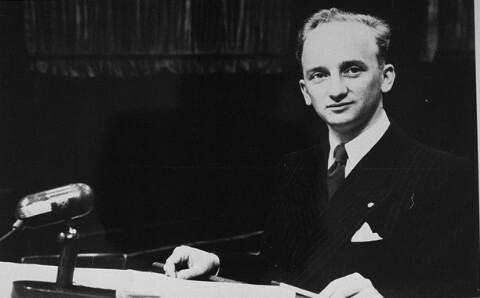 Ben Ferencz at the Nuremberg Trials. Those of us who spend time studying and commenting on the ICC have a habit of seeing the Court as the purpose and the most important element of the system. The above view of complementarity, however, flips the system on its head and gives us a way of thinking about the admittedly imperfect Kampala amendments as the foundation for spreading the international criminalization of the illegal use of force through national jurisdictions. This is a process that would result in less internationally prominent cases being brought, but one that would also not be nearly so subject to the politicization of the international system. A last, semi-related, way of thinking about this, which I’ll mention briefly here, was brought up by the indomitable Ben Ferencz, former Nuremberg Prosecutor who has made the crime of aggression his life’s work. He is more aware than most of the shortcomings of the Kampala compromise, and at the aforementioned book launch, his argument was to “rename the baby!” In other words, keep the idea of criminalized aggression, but since the door is closed, to go through the window. His answer: drop the term ‘aggression’ and replace it with ‘illegal use of force’, which should be defined as a crime against humanity as one way of getting around political opposition. This doesn’t seem likely to happen, but Ferencz’s fierce advocacy for it is always inspiring, and the argument does feel convincing – that the intentional decision to use illegal force is always going to result in civilian deaths, and should therefore be considered, in and of itself, a crime against humanity, independent of its status as aggression. Something for people to consider further on these pages perhaps? This entry was posted in Assembly of States Parties, Crime of Aggression, International Criminal Court (ICC). Bookmark the permalink.